I just bought snacks and drinks outside of the theatre. Can I bring them in? Outside food or drinks are not allowed inside our theatres. Are there designated smoking areas in any Malco Theatres? All Malco Theatres locations are smoke, electronic and vape-free establishments. What if I get an important phone call during the movie? We have a “No Cell Phone Usage Policy” and ask our patrons to not answer cell phone calls or texts during movies, or use other electronic devices, including iPads and tablets. The devices emit distracting light or sound and, therefore, are a direct disruption to your fellow patrons. If you receive a phone call during a movie, or need to use one of these items, please go outside the auditorium to answer. .
What should I do about fellow patrons who are being disruptive during a movie? Please alert a theatre manager or usher so the problem can be promptly addressed. Do not attempt to confront unruly patrons yourself. I have lost a personal item at Malco Theatres. What should I do? Please contact a staff member at the theatre in which you misplaced your item. Theatre phone numbers are located under each theatre’s page - just simply roll over the "Times/Locations/Tickets" menu at www.malco.com to choose a location. Yes! From our homepage (www.malco.com), select your theatre location where you wish to see the movie from the "Times/Locations/Tickets" menu. Browse to the movie of your choice and click on a show time in blue. Anytime you click on a show time, you will be sent to the ticket-purchasing page. * Please note that each online ticket is subject to a service charge. *. When I purchase tickets from your website, is my personal information secure? Yes. All data that is transmitted while in a secure portion of our website is encrypted for your protection. .
We store your truncated credit card information for look-up and refund purposes only. We do not use personal payment information for any other purposes. Why did I not receive an email confirmation once I purchased my movie tickets online? There are several reasons why this may have happened. Here are some common causes: - Your internet service provider may block emails sent from addresses it does not recognize. - SPAM settings within your email account may block emails sent from addresses it does not recognize. Please add our email address (no-reply@tickets.malco.com) to your address book to decrease the chance that an email confirmation will be blocked. - The email address may have been entered incorrectly. How much do movie tickets cost at Malco Theatres? Ticket prices vary from location to location and information can be found on the ticketing page for the desired film. For children under 2 years of age, we offer free admission. 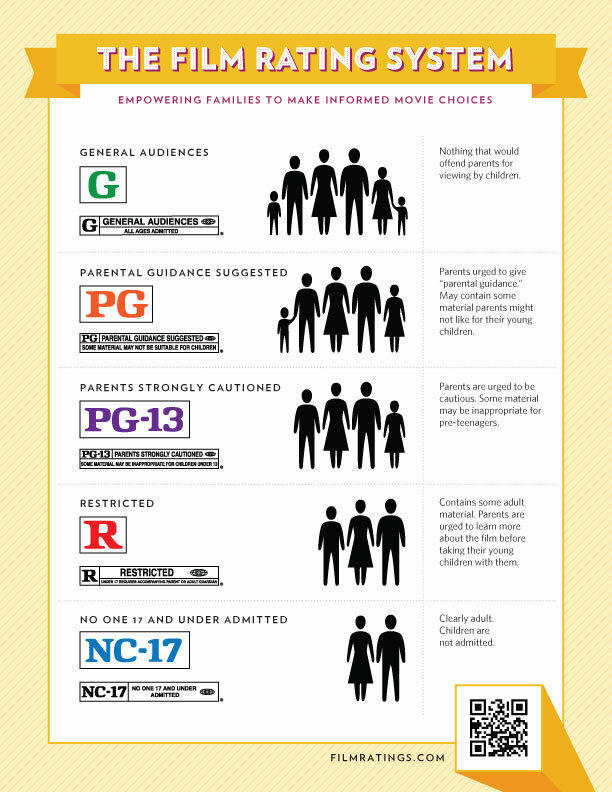 However, no children under 3 years of age are permitted in any theatre after 6:00pm for PG-13 and R-rated films. - Child tickets are valid for children from age 2 through 11 years old. - Adult ticket prices apply to those 12 years old and above. - Senior tickets are valid for adults 65 years and older. Not all ticket types are available for all performances and a 3D movie ticket surcharge will be added to the 3D ticket price. At the Paradiso Cinema Grill, no one under 17 years of age will be admitted to any film after 6:00pm on Fridays and Saturdays without accompanying parent, with the exception of IMAX films. Identification will be required at all times. -------------------------------------------------------------------------- At the Desoto Cinema Grill, no one under the age of 17 will be admitted to any film after 8:30pm on Friday and Saturday without being accompanied by someone over the age of 21. How old does an individual have to be to buy his/her own R-rated movie ticket? Patrons must be at least 17 years of age to purchase his/her own R-rated movie ticket and proper identification is required. Can an adult buy an R-rated movie ticket for an underage child? Yes, only if both the adult and child tickets are purchased and the parent or guardian accompanies the underage child to the movie. However, this is not allowed at the Paradiso Cinema Grill, with the exception of IMAX films. At the Paradiso Cinema Grill, no one under 17 years of age will be admitted to any film after 6:00pm on Fridays and Saturdays without accompanying parent, with the exception of IMAX films. Identification will be required at all times. -------------------------------------------------------------------------- At the Desoto Cinema Grill, no one under the age of 17 will be admitted to any film after 8:30pm on Friday and Saturday without being accompanied by someone over the age of 21. Can an adult buy an R-rated movie ticket for an underage child? Yes, only if both the adult and child tickets are purchased and the parent or guardian accompanies the underage child to the movie. However, this is not allowed at the Paradiso Cinema Grill, with the exception of IMAX films. At the Paradiso Cinema Grill, no one under 17 years of age will be admitted to any film after 6:00pm on Fridays and Saturdays without accompanying parent, with the exception of IMAX films. Identification will be required at all times. -------------------------------------------------------------------------- At the Desoto Cinema Grill, no one under the age of 17 will be admitted to any film after 8:30pm on Friday and Saturday without being accompanied by someone over the age of 21. .
Can I check to see if a movie will be sold out? The show times displayed on the Malco Theatres website show the current status of ticket sales. If the show time is not listed in blue, the show is no longer available for purchase or is sold out. Reserved seating offers patrons the opportunity to reserve specific seats at the theatre. Does Malco Theatres have/honor passes? All Malco Theatres locations honor passes including our Complimentary Pass, VIP Tickets and VIP Concession Tickets. Admission via pass may be subject to Film Studio restrictions, including but not limited to Broadway shows, concerts, special presentations and IMAX films. Does Malco Theatres accept MoviePass? All Malco Theatres locations currently accept MoviePass. Malco Theatres is not affiliated with MoviePass marketing, sales or operations. For guests needing additional information on this program, please visit www.moviepass.com. What payment types are accepted for ticketing? All Malco Theatres locations accept cash, Malco Gift Cards, as well as Visa, MasterCard, American Express and Discover. Click the "More Information…" tab on your theatres page for payment details. Do you accept personal checks or purchase orders as forms of payment? No, we are unable to accept these forms of payment. What should I do if I buy the wrong show time or theatre ticket? For problems with ticket purchased for the incorrect theatre, show or showtime, click the "Times/Locations/Tickets" menu to contact your local theatre for more help or visit the specific location’s Theatre Box Office. Please note there is a refund deadline window of one (1) hour prior to showtime. Refunds will not be issued less than one (1) hour prior to the film start time. Can I use my Complimentary Pass for Special Events? No, Special Events carry a pass restriction. Most new releases are pass restricted, too, but check movie times and tickets for the specific theatre of choice for additional details. .
Can I purchase tickets through MovieTickets.com or Fandango.com? Tickets for Malco Theatres are available exclusively though www.malco.com and www.fandango.com. What should I do if I buy the wrong show time or theatre ticket through Fandango? Ticket prices may vary by location and specific information can be found on the ticketing page for any film. How can I find movie times at Malco Theatres? Use the "Times/Locations/Tickets" menu to view current show times for each Malco Theatres location. This menu also lists the local theatre’s direct and hotline phone numbers. Please note that accurate show times are found only at www.malco.com. Third party sites reporting Malco Theatres show times do so as a courtesy only and may not always have updated information. Tickets for Friday releases usually go on sale the Wednesday before release. However, we will sometimes put tickets on sale further in advance for select movies. The best place to check is www.malco.com, the Malco Theatres Facebook page or email us. When is a specific movie going to be shown? Click the "Coming Soon" tab for information on new movies. All release dates and times are subject to change. Why do you play a specific movie at one location but not mine? Many distributors choose to release their films on a limited basis – whether because of a small budget or an intentionally slow release to build a “buzz.” We try to get the largest variety of movies and features that are available to us. What is the difference between a matinee ticket price and an evening ticket price? Matinees are movies that start before 6:00pm and Evening movies begin after 6:00pm. Please visit the "Times/Locations/Tickets" menu and select your desired theatre for show time information. Pricing information is listed when the show time of choice is selected. . Does Malco Theatres offer Twilight Shows? If so, what time? Yes, Twilight Shows are offered at select locations only from 4:00pm to 6:00pm. Please check theatre show times for more information. Does Malco Theatres offer Midnight Shows? If so, what time? Yes, Malco Theatres offers Midnight Shows at select theatres. Please check theatre show times for more information. What time do movies start at the Summer Drive-In? During the summer, movies at the Summer Drive-In begin at dusk. In the fall and winter, movies begin in the early evening. Please check the Summer Drive-In Theatre page for more information. Does Malco Theatres offer any Special Events? Can I book a private showing or a meeting at a Malco Theatres location? Yes! Malco Theatres offers a unique place to host your next event! Click Theatre Rental or Group Rates for group rate info, or Email our group sales department. Can I rent an auditorium for my Church services on Sundays? Yes! Using Malco Theatres' facilities for your Church Services is a wonderful way to connect to the community. By using a community environment, new members will feel more comfortable as your church is being brought to them, instead of bringing them to the church. Many of our locations offer a variety of seating capacities to better acclimate to your needs. Please Email our group sales department for more information on church rentals. How can I set up a Birthday Party at Malco Theatres? A Malco Theatres Birthday Party gives your child a chance to party like a star! Please visit Birthdays for complete Birthday Party information. Combos are available at all locations! Or, better yet, VIP Concession vouchers are also available for bulk purchase. Please visit the Malco Store or email our group sales department for more information. aloric content is listed on all menu boards and printed menus. For any specific questions or concerns, please email us at comment1@malco.com. Do you offer healthy concession items? Yes, grill items are cooked in 0g Trans Fat oil. We also offer extended menus that include healthier choices at select Grill locations. Are your popcorn oils Kosher? How much Cholesterol is in yoiur popcorn oil? Yes, we use Kosher popcorn oils. Does your vegetable oil contain gluten? No, gluten, as well as protein, is removed in the refining process. Oil is gluten free. What is a Malco Theatres Gift Card? A Malco Theatres Gift Card is a prepaid gift card (similar to a gift certificate) that can be used to buy tickets or concessions at any Malco Theatres location. Our gift cards are also re-loadable! Where can I purchase a Malco Theatres Gift Card? Malco Theatres Gift Cards are available for purchase at any Theatre Box Office or online via the Malco Store. Where are Malco Theatres Gift Cards honored? Malco Theatres Gift Cards are honored at all Malco Theatres location Box Offices and Concession Stands. How do I check the balance of my Malco Theatres Gift Card? To check your Malco Theatres Gift Card balance, please click here or on our Gift Card Balance link on the homepage. There, you can enter in your Malco Theatres Gift Card serial number located on the back of your card. Can I use my Malco Theatres Gift Card online to buy tickets? Can I combine more than one Malco Theatres Gift Card? Malco Theatres Gift Cards are unable to be consolidated onto one card, but multiple cards can be used towards one transaction at the theatre, or in conjunction with a major credit card. Can I use a Malco Theatres Gift Card to purchase another Malco Theatres Gift Card? At this time Malco Gift Cards cannot be used to purchase additional Malco Gift Cards. Can someone else use my Malco Theatres Gift Card? Yes. Because your name does not appear on the card, it may be used by anyone. What Malco Theatres Gift Card denominations are there to choose from? Gift Cards purchased from a Malco Theatres location may be loaded with any whole dollar amount starting with a $10 minimum. What forms of payment do you accept for purchasing Malco Theatres Gift Cards? All Malco locations accept cash and the following major credit cards: Visa, MasterCard, American Express, and Discover. Online Gift Card orders can be purchased at the Malco Store with Visa, MasterCard, American Express, or Discover. All credit cards must have a U.S. billing address. Do you accept personal checks or purchase orders as forms of payment for Malco Theatres Gift Cards? Personal checks or purchase orders are not accepted. All Malco locations accept cash and the following major credit cards: Visa, MasterCard, American Express, and Discover. Who can I contact if I have additional questions about my Malco Theatres Gift Card? Who can I contact if I have additional questions about my Malco Theatres Gift Card? For additional information, please contact the Corporate Office at 901-761-3480 or visit any Malco Theatres location. I’d like to call Malco Theatres. What is the phone number? Please use our "Times/Locations/Tickets" menu to access guest services contact information for your local Malco Theatres location. How can I e-mail Malco Theatres? Please email comment1@malco.com, or visit our contact form under the Contact Us tab on our website. I’d like to write Malco Theatres a letter. Where do I send it? Please visit our Corporate Info page under the About Malco tab. 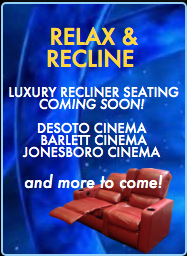 Yes, all Malco Theatres locations offer accessible wheelchair spaces along with companion seating. All theatres also offer Closed Captioning and Descriptive Narrative Assisted Listening Devices. What movies are coming soon to Malco Theatres? Please visit the “Coming Soon” section of our website. What movies are playing right now at Malco Theatres? Please visit the Now “Playing” section of our website. How can I find out what is playing at the IMAX at the Paradiso & Razorback Cinema locations? TAP Here to View Ratings All information regarding movie ratings can be found at www.mpaa.org. How old does an individual have to be to buy his/her own R-rated movie ticket? Patrons must be at least 17 years of age to purchase his/her own R-rated movie ticket and proper identification is required. At the Paradiso Cinema Grill, no one under 17 years of age will be admitted to any film after 6:00pm on Fridays and Saturdays without accompanying parent, with the exception of IMAX films. Identification will be required at all times. -------------------------------------------------------------------------- At the Desoto Cinema Grill, no one under the age of 17 will be admitted to any film after 8:30pm on Friday and Saturday without being accompanied by someone over the age of 21. Can an adult buy an R-rated movie ticket for an underage child? Yes, only if both the adult and child tickets are purchased and the parent or guardian accompanies the underage child to the movie. However, this is not allowed at the Paradiso Cinema Grill, with the exception of IMAX films. At the Paradiso Cinema Grill, no one under 17 years of age will be admitted to any film after 6:00pm on Fridays and Saturdays without accompanying parent, with the exception of IMAX films. Identification will be required at all times. -------------------------------------------------------------------------- At the Desoto Cinema Grill, no one under the age of 17 will be admitted to any film after 8:30pm on Friday and Saturday without being accompanied by someone over the age of 21.
Who do I contact about advertising with Malco Theatres? Let Screenvision show you how advertising at the movies can help grow your business! Contact them at 1-800-724-MOVIE. What charities does Malco Theatres support in its communities? Malco Theatres actively supports several regional and national charities, as well as many more, 501c3 organizations. How do I request a donation from Malco Theatres? How do I request a donation from Malco Theatres? Please fax or mail donation requests on 501c3 charity letterhead at least 3 weeks prior to the event date. We are unable to honor any requests submitted via email or phone. Fax: (901) 681-2044, Attn: Donations Mailing Address: Malco Theatres, Attn: Donations, 5851 Ridgeway Center Parkway, Memphis, TN 38120. What is the Malco VIP Ticket Program? The Malco VIP Ticket Program is an excellent way to thank clients, reward employees, or add to a customer loyalty/incentive program. It is available to organizations, companies, groups and individuals that can benefit from buying bulk admission tickets. VIP Tickets and Concession Vouchers are accepted at all Malco Theatres locations and never expire! How can I purchase Malco VIP Tickets? TAP HERE FOR EASY PURCHASE or Please email our group sales department or VIP Ticket orders may be placed online via the Malco Store. Are there any restrictions on VIP Tickets? The VIP Ticket voucher is valid for a single admission to a regularly scheduled movie and must be redeemed at the box office, subject to available seating. The voucher is not valid for special events, including but not limited to, IMAX, operas, concerts, Broadway Shows and other special events. Are there any restrictions on Malco’s Complimentary Passes? Are there any restrictions on Malco Theatres Second Run Discount Passes? Discount Passes may only be used at our 2nd Run Theatres. All Malco Theatres 2nd Run locations honor passes including our Complimentary Pass, VIP Tickets and VIP Concession Vouchers. Admission via pass may be subject to Film Studio restrictions. Is Malco Theatres environmentally conscious? Yes, Malco Theatres was the first movie theatre chain in the United States to offer EcoSelectTM popcorn bags made from recycled material! We also recycle film trailers and some theatres offer Recycling Bins for plastic bottles. In addition, Malco Theatres has also cut 25% of its annual paper consumption and, where available, has upgraded theatre light bulbs to LED. How can I start my career at Malco Theatres? Please visit our Job Opportunities Page under the "About Malco" tab for the latest career opportunity information and to complete an Employee Application. I am having trouble finding things on your website. I am having trouble finding things on your website. Thank you for the feedback - we value our customer's opinions! Please tell us where difficulties are being experienced, as we are always looking to improve the website. Include a valid contact email address in the contact form, as a Malco Theatres team member reviews all feedback and will personally contact you should additional information be necessary. If you are using dial-up, or a mobile browser, try Malco2Go for a simpler page. How can I contact your Webmaster? Please email comment1@malco.com, or visit our contact form under the Contact Us tab and complete the requested information. A Malco Theatres team member reviews all feedback and will personally contact you should additional information be necessary.